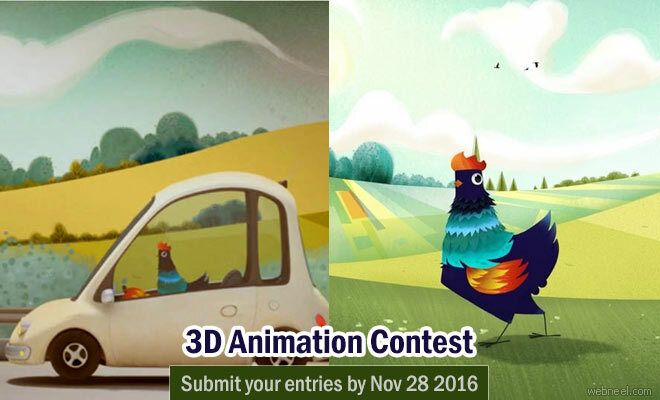 Try to animate a chicken and you could win yourself a one hour one-to-one project review with Nimble Co-founder, Jason Schleifer, CG cookie subscriptions, gift cards for blender market and also some cool Nimble collective T-shirts. So what is your chicken going to do today? Is it going to fly? Is it going to dance? Well it's upto you creative minds. All that you have to do is animate the chicken by downloading the free blender file of the chicken and you can create your own Chicken scene. You can create your own animal fact 164. So what is your chicken going to do today?! Once your short video is submitted, Nimble collective will take the help of the internet to vote for the top 5 short animated shorts and winners will be given amazing prizes.